Free admission of the Centre Pompidou Málaga will be on Saturday 28th afternoon and all day Sunday 29th of March. However with the possibility of extending these open days, considering that “it does not interfere” in the celebration of Easter. “A free ticket is common when opening a museum installation of this nature is made,” noted Mayor De la Torre, who recalled also that CPM can be visited free of charge for the public on Sunday afternoon. De la Torre has stressed the desirability of these openings are news to “the effect attracting tourists and generating employment and wealth a reality”. Nor has forgotten Malaga, which “should enjoy these facilities”. 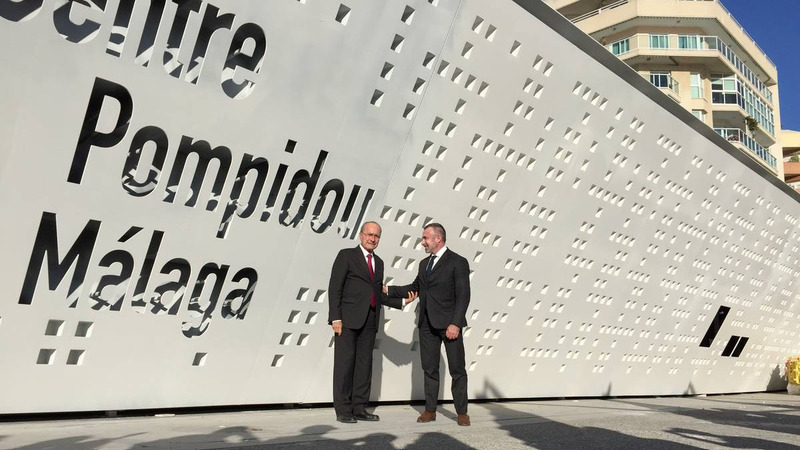 The Mayor of Málaga has reiterated also that at the opening day all services provided will be operational. Both in the case of Pompidou, which will close on Tuesday, as in the Collection Russian Museum, which shall Monday, there will be general and reduced tickets, on one hand, and three other modalities according visit: combined, only for permanent exhibition and only for temporary shows. Entrance to the Centre Pompidou Málaga cost between nine euros for a combined general ticked and the reduced 2.50 euros for the permanent exhibition. As regards the Russian Museum, with prices ranging from eight to 2.50 euros. Reduced apply to over 65, students up to 26 years, participants in the congress activities of the University of Malaga (UMA) and large families. Access will be free in all cases for the unemployed, under 18, young euro card holders, teachers and university of Fine Arts and Art History, museum employees and members of the International Council of Museums, and to the public the Sundays from 16:00 pm until closing.